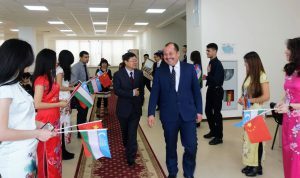 On January 11, 2018 the Ambassador Extraordinary and Plenipotentiary of the People’s Republic of China to Uzbekistan Sun Lijie visited the Uzbekistan State World Languages University, as Mr. Ambassador is completing his diplomatic mission in our country. 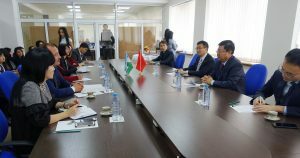 Sides noted with satisfaction the dynamic nature of the comprehensive Uzbek-Chinese dialogue. Also, exchanged views on the state of bilateral relations in educational, cultural and other fields. 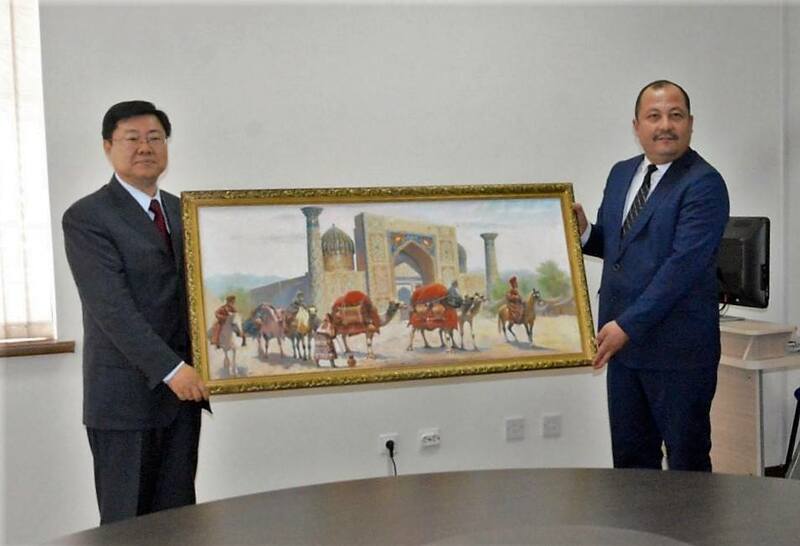 In connection with the completion of the diplomatic mission in Uzbekistan, rector of the university Mr. Ganisher Rakhimov expressed gratitude to Ambassador for his many years of successful work, support and contribution to promotion of cooperation.